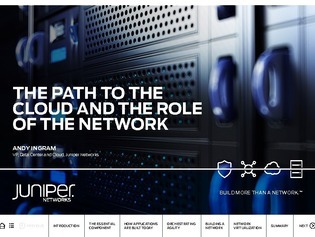 Venturing along the path to the cloud, whether that’s a public cloud or a private cloud, requires an essential component to deliver that service – your network. The challenge is that when you look inside the network infrastructure, there’s been a significant evolution in deployed applications. They are being built in a new way that’s creating new challenges to the infrastructure.